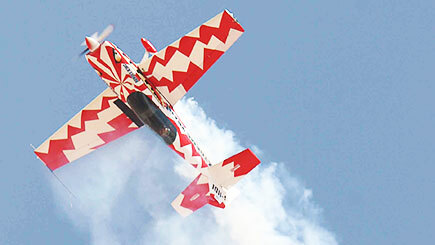 Looking for a flying experience to remember? 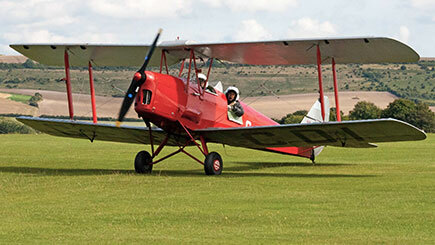 Take to the skies in a 1930s vintage Tiger Moth and soak in unique aerial views of the famous White Horses of Wiltshire, while enjoying the rush of flying in the open cockpit. For centuries, the inhabitants of Wiltshire have carved great white horses into the rolling chalk downs of their settlements, resulting in some of the most impressive natural landmarks in the UK. They are visible and impressive from the ground but to truly appreciate them, head sky high. Take-off from historic Old Sarum Airfield and venture northwards through the Avon Valley, across Salisbury Plain and over the famous White Horses of Wiltshire for a flying experience which gives you visual memories to be treasured for years.